CAREER HIGHLIGHTSGiugiaro, who started at Fiat's styling center at 17, was appointed Bertone design director in 1960. Under the guidance of Nuccio Bertone, the 22-year-old prodigy became Italy's hottest designer. After five successful years at Bertone, Giugiaro led design at Ghia for two years before starting his own company, Italdesign, in 1968. In June 2015 he completed the sale of Italdesign to Audi and started a new design company with his son, Fabrizio, called GFG Style. REASON FOR WINNINGModern car design would look dramatically different without the seminal work of Giugiaro. 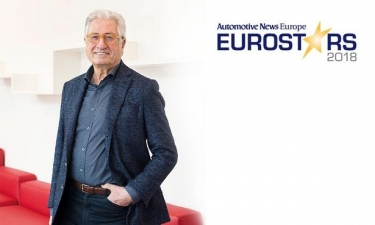 Named Car Designer of the Century in 1999 by an international jury and inducted into the European Automotive Hall of Fame in 2002, Giugiaro is the most prolific car designer of all time. While praised for extreme sports cars he penned for BMW, Maserati and Lotus, Giugiaro really excelled when matching form with function in small cars such as the first-generation Fiat Panda, Uno and Punto. The best-selling car he created, however, was the first-generation Volks-wagen Golf at more than 6 million units.